Would you dare to do a 3000 mile solo row around Great Britain? Here we introduce the intrepid Sarah Weldon, founder of the Oceans Project whom now is on her way to a big journey. She has taken on the challenge of the Great British Vikings Quest and will row solo around the Great Britain. We will wish Sarah the best of luck! Oceans Project uses Technology to bring Vikings alive for kids! A UK charity has launched a Kickstarter campaign to raise money for a world first solo row around Great Britain which will follow the journeys of our Viking ancestors. The expedition will use wearable technology, including Google Glass, and a virtual learning platform to bring the adventure to life for the general public, schools, and 17,000 children in 53 countries who have no access to education due to gender, war, poverty, or disability. Children supporting Sarah on her Great British Viking Journey. 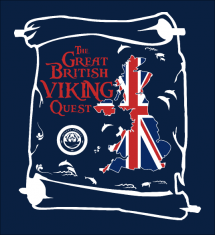 The ‘Great British Viking Quest’ will compare the journeys of our Viking ancestors with a modern day expedition to see how the science, technology, engineering, and maths has changed. 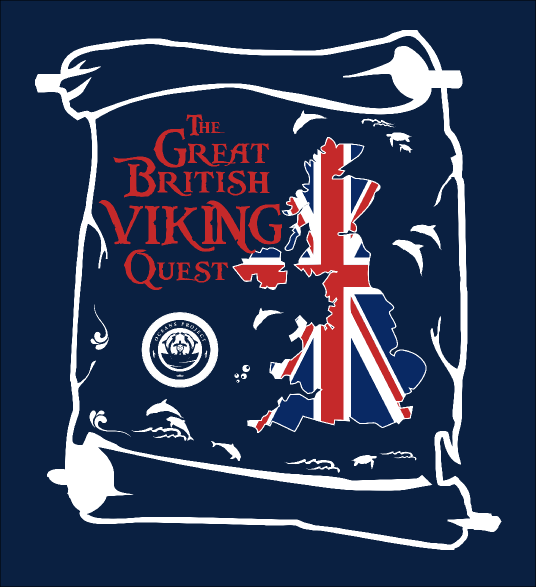 The quest will uncover the Viking settlements around Britain and learn more about the Viking women who made up so many of the Norse invaders. The project’s founder Sarah Weldon was named by Skype for International Women’s Day 2014 as a ‘woman changing the world through technology’ and will fly the flag for extraordinary women explorers for USA based not-profit ‘Wings Worldquest’. Sarah Weldon, Founder of the Oceans Project. The Wings flag has been passed to Sarah from British polar explorer Felicity Aston MBE, first woman to ski solo across Antarctica, and was carried on her ‘Pole of Cold’ Arctic expedition. The mission of Wings is to recognize and support the groundbreaking work of women scientists and explorers, whose discoveries advance scientific inquiry and lead to better understanding of our world. Notable members include primatologist Jane Goodall, and oceanographer Sylvia Earle. Throughout the 3000 mile expedition, Sarah will collect scientific data on the human body, using wearable technology and psychological tests from NASA, as part of a study by University of Roehampton. 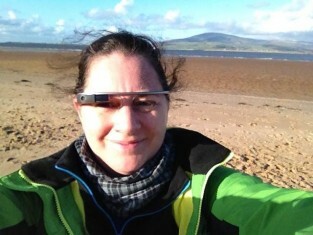 Sarah will also collect data on ocean health for ‘Adventurers and Scientists for Conservation’. “Being able to collect data just by wearing technology will enable me to remain hands free and totally focused on the task in hand – rowing around some of the most treacherous coastline in the world”. With 95% of all UK imports arriving by sea, Sarah will contend with shipping lanes, fast changing tides, whirlpools, and currents, but expects to see some amazing wildlife and ever changing geology. Technology such as smart clothing which monitors muscle movement, will enable Sarah to collect vital scientific data, and to share it in real time with schools. “Its incredible to think that high school students in Texas will know more about my body than I do”. By providing data and blog posts, students will be able to analyse a back ache, and suggest ways for Sarah to improve things like posture whilst rowing. 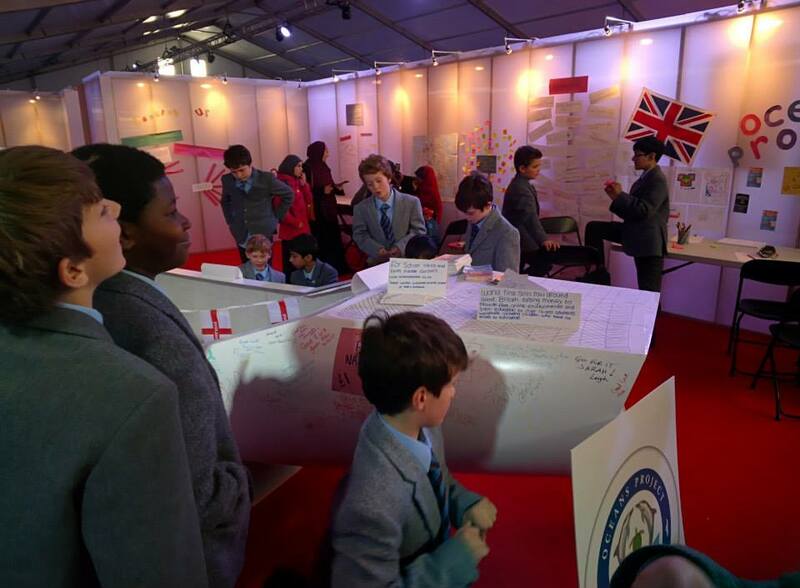 The aim of the project is to engage learners with STEM subjects, especially those considering professions such as healthcare or use of robots for medical devices or underwater exploration. A number of schools are creating educational materials about the expedition which will be shared with peers via the platform. “Oceans Project was started by a group of very enthusiastic young people in the former Soviet Republic of Georgia, so its incredibly important to me that the project continues to be student led and puts natural curiosity for learning, at the fore. I’m really just the eyes and ears, bringing the outside world in, and creating virtual field trips from the places the students most want to see. If thats a history student who wants to see Lindisfarne where the Vikings raided, that’s where I’ll go”. With more than 1 billion people worldwide learning English as a foreign language, its no surprise that there is so much interest in Great Britain. “I’ve worked in many countries, but I know surprisingly little of my own culture and history. I’ve met so many people in the UK who have never been to the seaside, even though you are never more than 70 miles from the coast. Our seas and rivers have played a major role in the places where people have settled. Even the tea that Brits are so famous for drinking, still arrives by ship, and those ships, tea packaging, and production all rely on scientists and engineers to get them here safely. Supporters of the Kickstarter project can choose from expedition T-shirts, hoodies, and iPhone covers designed by Ontario based student Natalie, winner of the International competition for schools. Other rewards include access to the virtual learning platform, tickets, VIP passes, or a private performance at your school or community of Sarah’s science comedy show ‘What Not to Eat at Sea’, hand painted art work by Sarah, tea and cake on the boat during the expedition or on Lake Windermere, or space for your school or company logo on the boat. The campaigns runs until 8th March 2015. For more information or to support now, you can check out the Kickstarter page here or for more information about The Ocean Project here. This entry was posted in Rowing, Users Views. Bookmark the permalink.